General Motors has delivered what it claims is the toughest mid-size ute of them all, a go-anywhere one-tonner based on the Chevrolet/Holden Colorado. 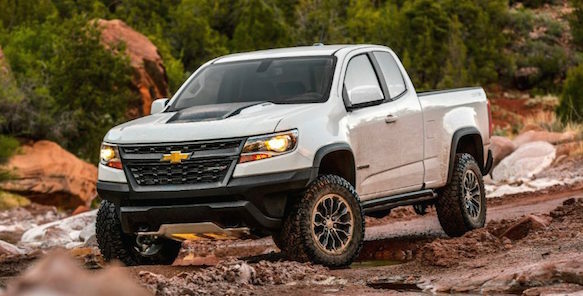 It’s the Colorado ZR2 Bison, built in collaboration with premium after-market company American Expedition Vehicles (AEV) and on sale in the US next January. It appeared as a concept at the SEMA show in Las Vegas late last year, as an example of how Chevrolet and AEV could make an even more extreme version of the Colorado ZR2 donor vehicle. 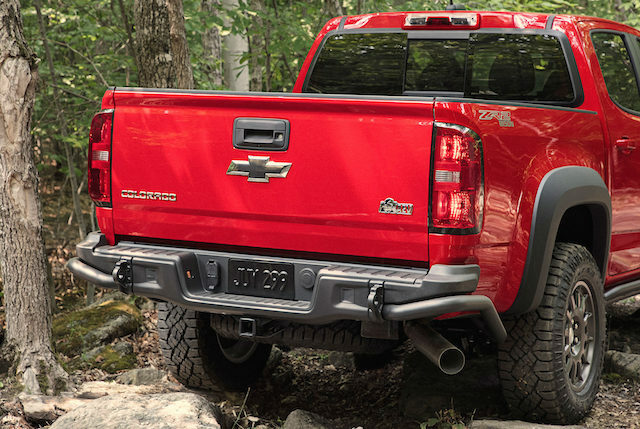 The ZR2 already had a strong following in the US as a tough truck and it was assumed that the ZR2 Bison concept was purely a SEMA showpiece – until the GM board approved its production. In doing so it seized the initiative from Ford, who had earlier said it would build the Ranger Raptor for the North American market but didn’t give a start date. Chevrolet is expected to release the price of the ZR2 Bison at the Los Angeles motor show in November, before its January 2019 launch. It is expected to be around $US50,000 – the standard Colorado ZR2 starts from US$43,495 (NZ$65,000). The production ZR2 Bison will obviously come with more hard-core equipment than the standard ZR2, but it won’t pick up things like the bed rack, air-compressor, and water tank from the SEMA concept. What it will get is Multimatic DSSV shock absorbers tuned for extreme compression, a two-inch lift kit, 3.5-inch wider track, front and rear bumpers made from stamped steel, and undercarriage protection in the form of five hot-stamped boron steel plates protecting the oil pan, fuel tank, transfer case, and front and rear locking differentials. “As this is the first Chevrolet vehicle we’ve given the AEV treatment to, we wanted to do something special with the industry’s first use of hot-stamped Boron steel. 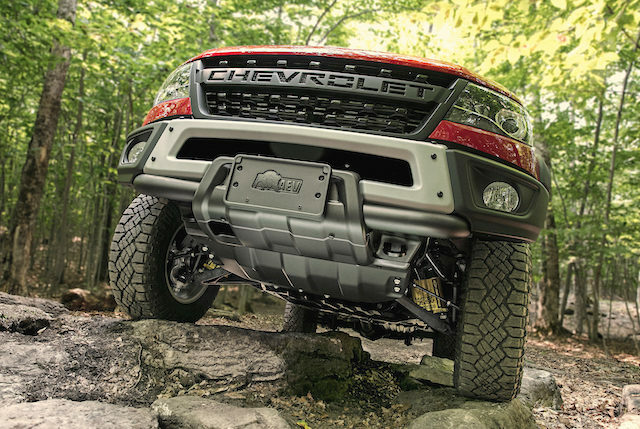 ZR2 Bison ditches the traditional Chevrolet bowtie up front in favour of a “CHEVROLET” lettered grille. The 31-inch Goodyear Wrangler Duratrac off-road tyres sit beneath flared mudguards and wrap around ZR2 Bison-specific 17 x 8-inch aluminum wheels. This new Colorado variant also features “Bison” decals on the tray sides, an “AEV Bison” logo on the tailgate and embroidered AEV logo floor liners and front head restraints. ZR2 Bison is likely to come with the choice of two engines for the North American market. What has been confirmed is the 138kW/500Nm 2.8-litre Duramax diesel used in the Holden Colorado in NZ. What hasn’t is a 245kW/370Nm 3.6-litre petrol V6 used elsewhere in the GM stable.